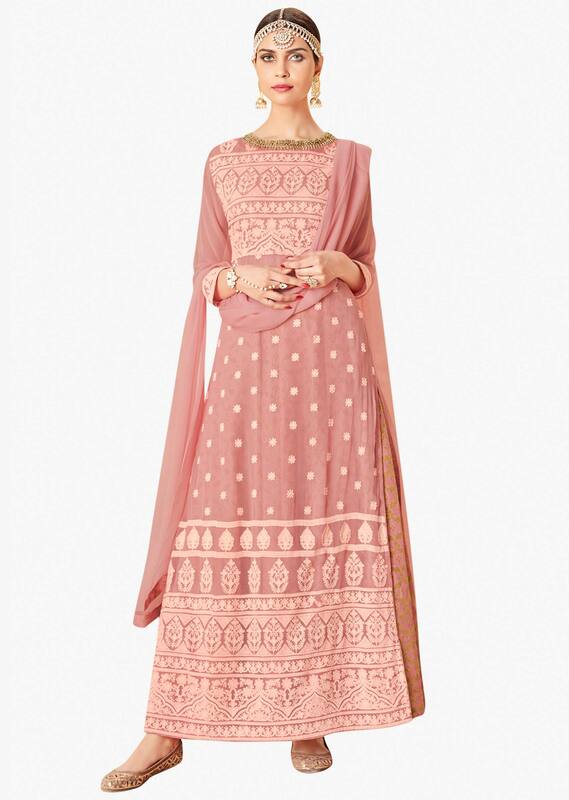 Cloud pink A line suit featuring in georgette with under layer in brocade silk. Its embellished in thread work all over along with zardosi embroidered neckline. Matched with cotton pant and chiffon dupatta.